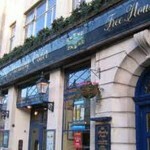 Trying to find pubs in Southampton? You’ve come to the right place. We’ve got every pub and bar in the UK listed. 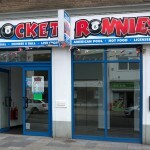 Whether you’re looking for a pub or bar in Southampton to play darts, somewhere to play pool or just want to have a look at a menu before you go, we can help. 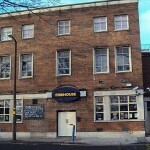 Firehouse in Southampton has live music events. The pub has a pool table. 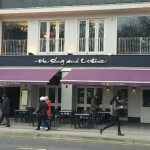 Slug & Lettuce in Southampton has a cocktail bar. The pub has disabled facilities, it is a family friendly pub. Slug & Lettuce serves food. The pub has a function room that can be booked, it has an outside area. Slug & Lettuce serves real ale. The pub has a smoking area, it has free WiFi. Slug & Lettuce is a member of Cask Marque. 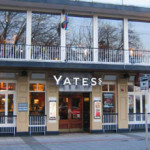 Yates in Southampton has a beer garden. The pub is a family friendly pub, it serves food. Yates has an outside area. The pub serves real ale, it has free WiFi. Yates has BT Sport. The pub shows football on TV, it has Sky Sports. Yates is a member of Cask Marque. Eagle in Southampton shows football on TV. The pub has terrestrial TV. 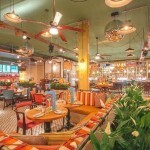 Revolución de Cuba has arrived in Southampton, transporting you to the heart of Havana. Filled with creative cocktails, delicious dishes with exotic twists and always a sensational soundtrack to salsa the night away… La fiesta is here. Spitfire in Southampton has disabled facilities. The pub is a family friendly pub, it serves food. Spitfire serves real ale. The pub has free WiFi, it is a member of Cask Marque. 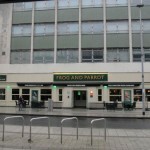 Frog & Parrot in Southampton serves food. The pub serves real ale, it has free WiFi. Frog & Parrot has a pool table. The pub is a member of Cask Marque. All Bar One in Harbour Parade has a cocktail bar. The pub serves food, it has an outside area. Wahoo Southampton in Southampton has a beer garden. The pub has an outside area, it shows live comedy. Wahoo Southampton has DJ's. The pub has karaoke, it has live music events. Wahoo Southampton has a pool table. The pub has a big screen, it shows football on TV. Wahoo Southampton has Sky Sports. The pub has terrestrial TV. Royal Oak in Southampton serves food. The pub has a dart board, it has live music events. Royal Oak has a pool table. The pub holds quiz nights, it shows football on TV. Royal Oak has terrestrial TV. 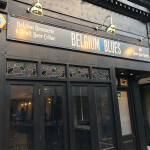 Set in Southampton's Cultural Quarter, Belgium and Blues is an independently owned bar and brasserie selling Belgian and British craft beer alongside 'Food to drink to'. Kingsland Tavern in Southampton shows football on TV. The pub has terrestrial TV. Standing Order in Southampton has a beer garden. The pub has a car park, it has disabled facilities. Standing Order is a family friendly pub. The pub serves food, it has an outside area. Standing Order serves real ale. The pub has a real fire, it has free WiFi. Standing Order is a member of Cask Marque.